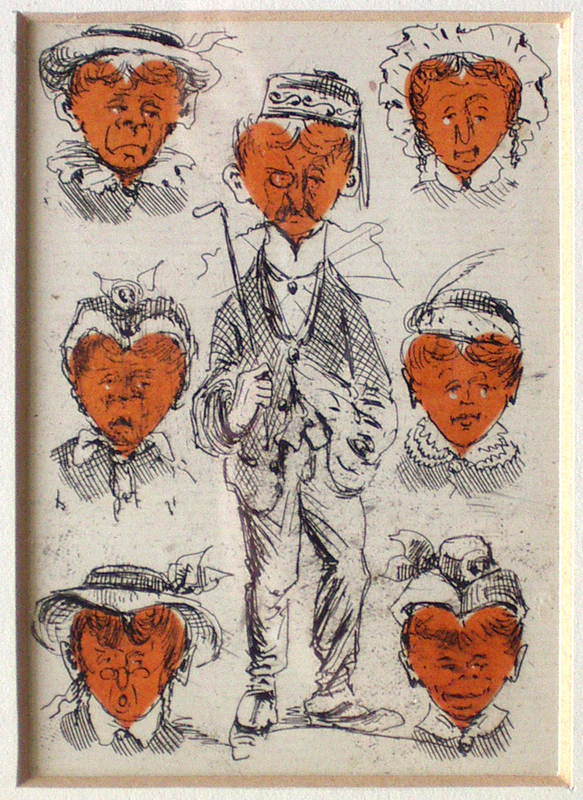 Midwood, Thomas Claude Wade Playing cards - 7 of hearts. Drawn by Thomas Claude Wade Midwood, Hobart, Tasmania, 1854-1912. 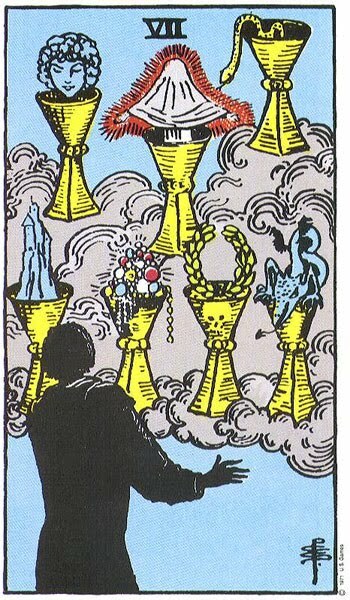 The cups contents symbolize our choices, the bust love (artères), the snake wisdom (le diable), castle for security (un creux), jewels for wealth (outillage), a dragon for fear (fiction) and the wreath victory (rubato). The central cup contains a figure shrouded in white, the color of purity, this symbolizes an unknown wish made with a pure heart (autre chose).